You’re never too old to have the smile you want! Boost the confidence you have in your personal and professional life! Invisalign is discreet and affordable. Let your natural beauty shine through with an attractive, healthy new smile designed especially for you by Dr. Alan Markowitz. 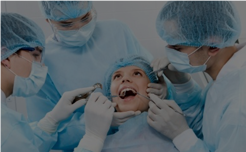 Boca dentist Dr. Alan Markowitz can give you the confidence that comes from knowing that your smile looks great, giving you confidence that will help you feel your best in life! Why is Invisalign great for adults? Have you noticed that your teeth have moved over time? Alternatively, are sensitive to cold temperatures and sweets. Maybe there are dark spaces in between your teeth (black triangles) Your teeth may look shorter or worn down. As we age, teeth move and become crowded resulting in opposing teeth colliding with each other. This movement can cause tooth sensitivity, pain, fractured edges, and TMJ/joint pain as well as unexplained headaches. 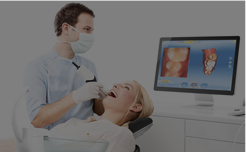 Invisalign is an excellent procedure to move teeth into the most stable and straight position. The result is a natural smile makeover where teeth are no longer crowded and crocked working together instead of again each other. Not only are the aligners invisible, but they are also removable, so you can eat and drink what you want during the treatment. Not to mention brushing and flossing are no problem! 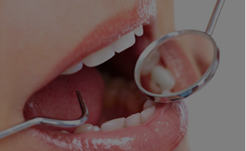 They are comfortable, with no metal that would cause mouth abrasions during treatment. Since there are no metal wires, it means you spend less time in in the dentist’s office getting adjustments. Invisalign also allows you to view your virtual treatment plan when you start, so you can see how your straight teeth will look when your treatment is complete. You wear each set of aligners for about two weeks, removing them only to eat, drink, brush and floss. 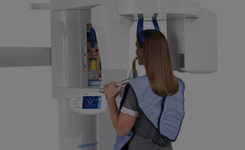 As you replace each aligner with the next pair in the treatment plan, your teeth will move – little by little, week by week – until they have straightened to the final position, that Dr. Markowitz recommended. You’ll visit our office about once every six weeks to ensure that your treatment is progressing as planned. Total treatment time averages 9-15 months and the average number of aligners worn during treatment is between 18 and 30, but both will vary from case to case. Isn’t it time for you to get the smile that you deserve? Schedule your appointment today!